Since 1996 we have been offering cost-effective solutions to corporate, retail, industrial and government facilities. Our business is to help keep you in business by meeting all of your exterior and interior lighting, sign and electrical needs. Lighting plays a vital role in every business. Poor lighting impacts employee work performance, customer purchasing and company visibility. We currently maintain lighting, signs and electric services for many restaurants, auto dealers, shopping centers, banks and other high profile businesses. We welcome the opportunity to provide you with a level of customer service that goes beyond your expectations. 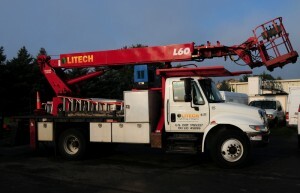 See up to date Energy and Lighting News from around the web, here on Litech.com!